Date derived from an annotation on the map dated Feb. 12, 1964. 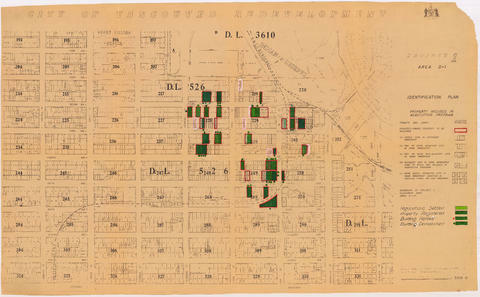 Item is a map showing ownership of property included in the acquisition program. Further annotations show the status of property acquisition and demolition. 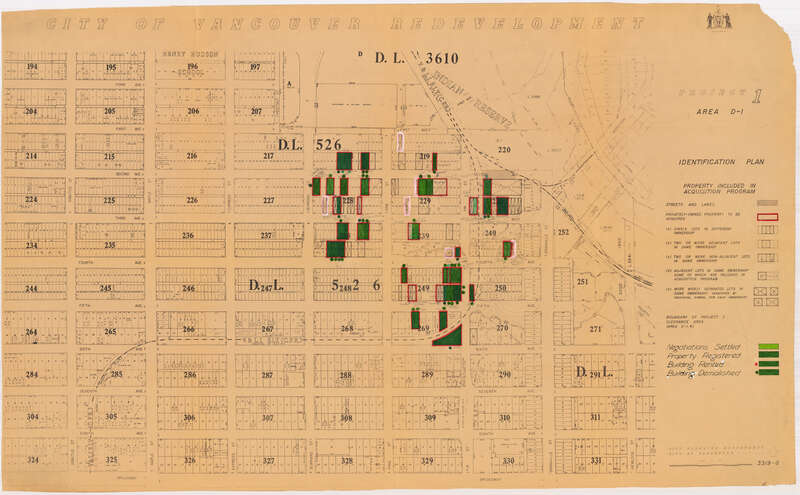 Base map is bounded by Arbutus Street, Hemlock Street, York Avenue, and Broadway, and shows streets, legal addresses, lot sizes, schools, parks and railway lines. Copyright: City of Vancouver; expiry: 2040-01-01.